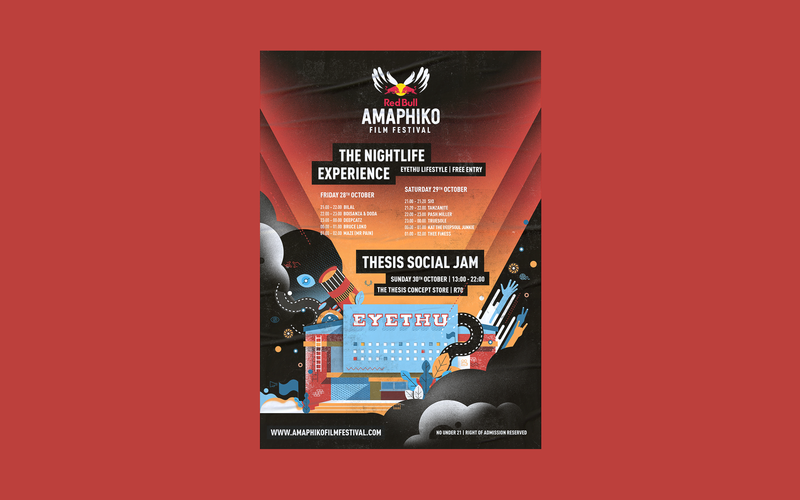 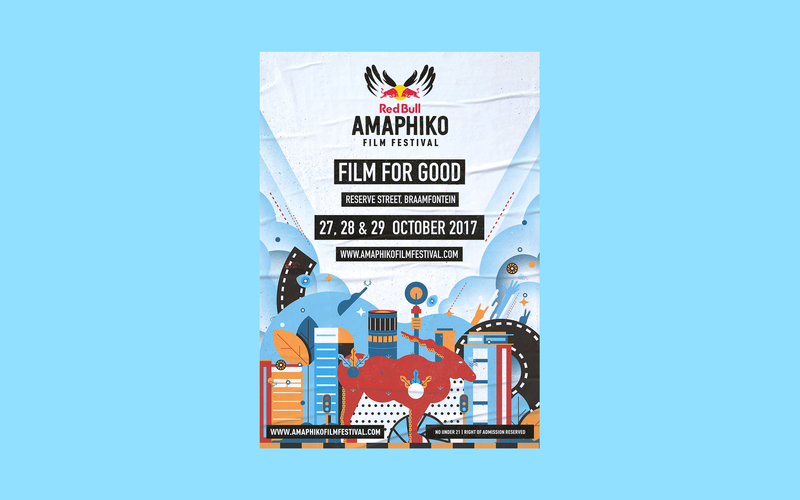 Red Bull asked for our help branding the Amaphiko Film Festival. 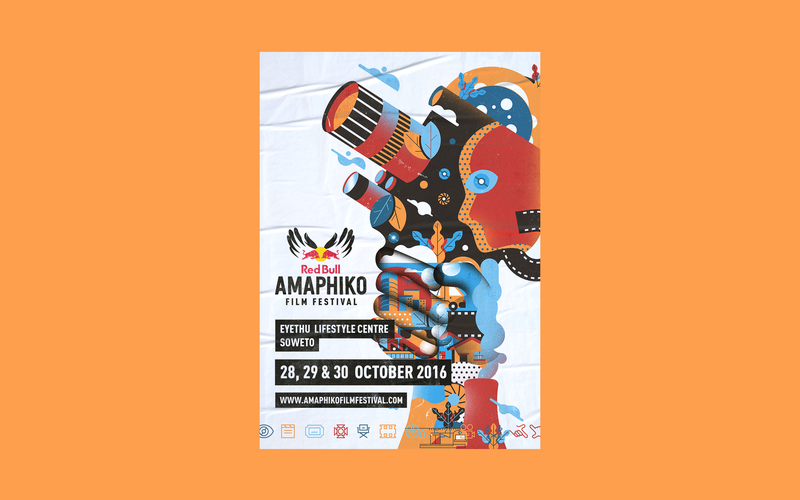 We took an illustrated approach that embodies the vibrant, DIY personality of the Red Bull Amaphiko Academy. 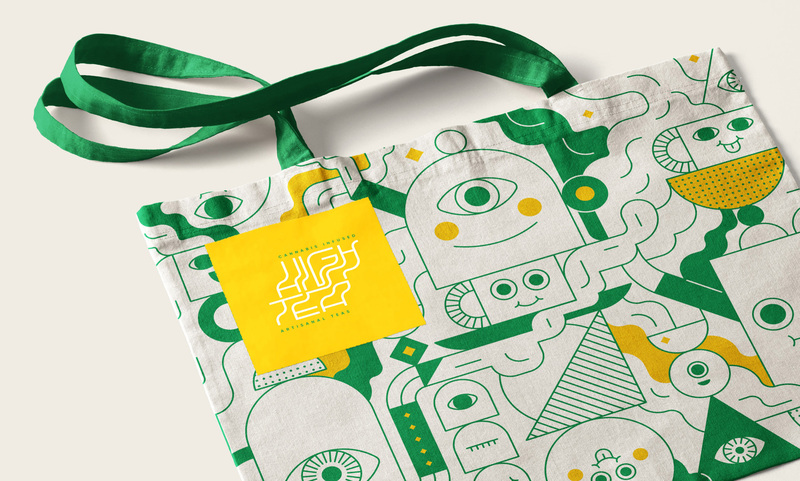 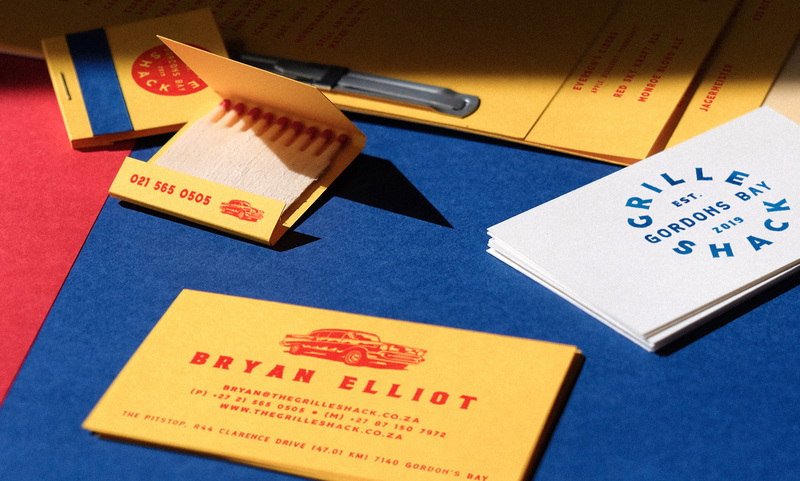 Enlisting the help of illustrator Russell Abrahams, we sought to capture the rich visual tradition of the festival, while representing a proudly South African aesthetic in the colours, shapes and textures of the work.